Typically, tires receive only a passing glance until there’s a noticeable and often significant problem. And at that point, it’s often too late—you’re either stranded or you’re in a potentially dangerous driving situation. Whether you notice one of them is flat before you get behind the wheel or your car’s Tire Pressure Monitoring System (TPMS) has alerted you to a tire’s low pressure, this reactive method of tire maintenance is not ideal or safe. Because when you rank all the safety features in your vehicle, even the most advanced driver assistance technologies like blind spot monitoring/detection, rear view camera, or lane drifting alerts—the one that comes out on top as most essential (and probably most underappreciated) is your tires. 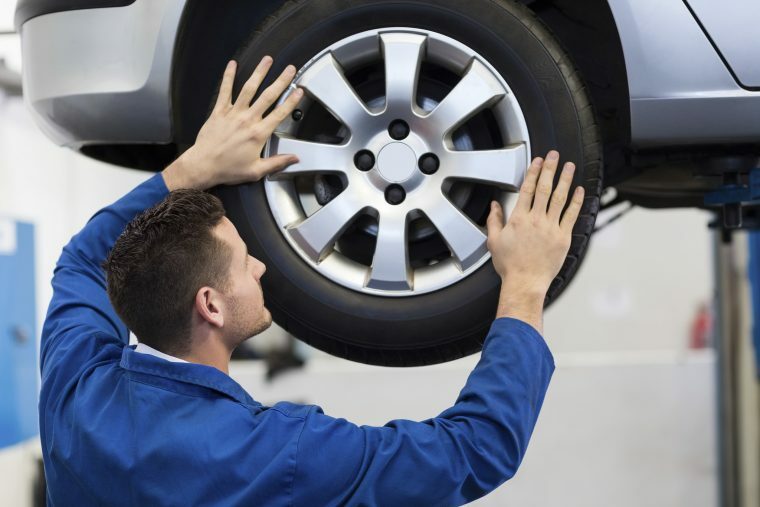 If you’re in the market for a new car, now is the perfect time to make tire technology a must-have (especially if your previous vehicle was lacking in that area). According to Nationwide.com, your new ride should be equipped with a TPMS since your tires will be constantly brutalized by the road and impacted by fluctuating weather conditions. “Changes in temperature can decrease their pressure, leading to blowouts or increased wear. Make sure if the car you’re buying has a TPMS, that it’s working properly—but also make sure you check your tires’ pressure every month with a manual gauge,” reports Nationwide.com.